Editor’s Note: For the remainder of June we will be counting down our 10 favorite columns as we celebrate summer vacation. 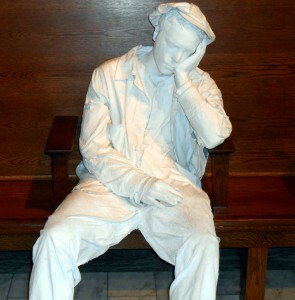 Coming in at number 7 on our countdown is a column from July 29, 2013. I suppose if we are really honest with ourselves, all of us at one time or another have been fascinated by trains. Of course, that fascination tends to turn to cursing when one is running late to work while stuck at a railroad crossing watching a slow moving hundred plus car train lumber by at a speed slower than most people can walk. But for the most part, there is a little train engineer in all of us if we really stop to think about it. One of the steam powered locomotives on display at the Galveston Railroad Museum. 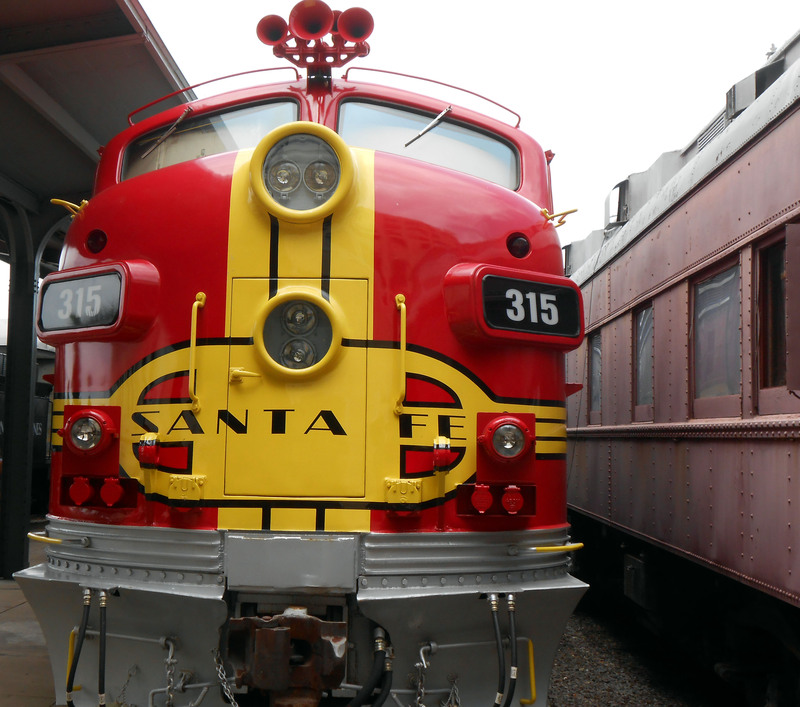 Exhibits cover all eras of train travel. While some people dream of riding the rails like a hobo without a care in the world, others tend to picture themselves as a suave international super spy crisscrossing the globe by rail one shaken, not stirred vodka martini at a time. This past weekend I took my inner train engineer to the Galveston Railroad Museum. I had wanted to go to the museum for years but just never seemed to find the time and then a Hurricane named Ike flooded the museum with nine feet of water leading to a lengthy closure and repair process that made going to the museum impossible. So with Ike a distant memory, and the museum reopened it was finally time to make the trip down to Galveston to see the museum and all of its railroad themed splendor. One of the newest exhibits at the Galveston Railroad Museum is a pair of locomotives painted in the colors of Santa Fe rail lines. My first experience with a train museum was the B&O Railroad Museum in Baltimore, MD which is on the register of historic places and is considered by many to be the quintessential train museum in the country. 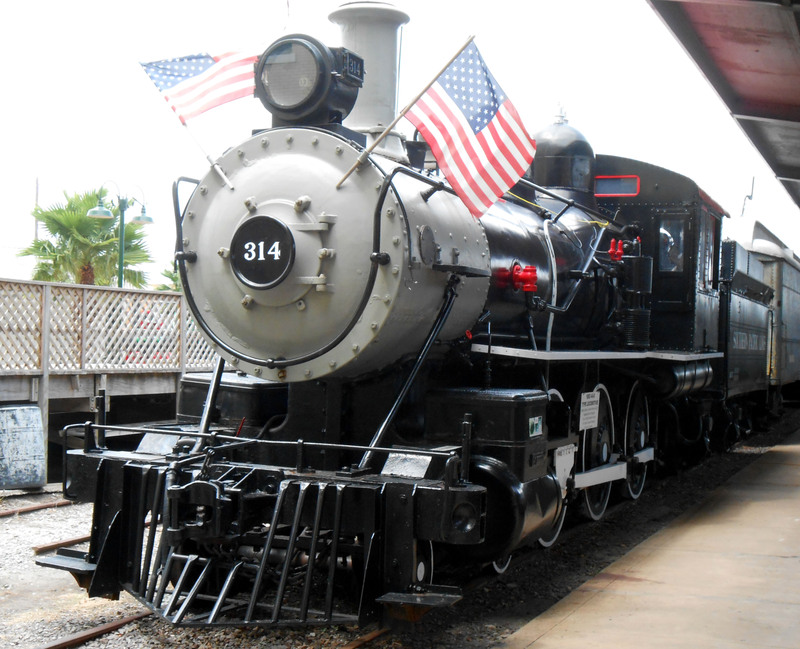 I have also taken several “tourist” train rides in multiple countries so I knew a thing or two about trains heading to the museum. I also enjoy when old train stations are re-purposed into modern uses while maintaining a bit of the history of the railroad past. Examples of this I enjoy are Minute Maid Park which is housed in Houston’s old Union Station and still maintains a bit of train culture with the presence of a locomotive above the outfield and the Crowne Plaza Hotel in Downtown Indianapolis’ Union Station that includes Pullman train cars that were converted into guest rooms. So I knew that the museum would have a tall order to fill in order to grab my attention when compared to my previous railway history. I can definitely say that the Galveston Railroad Museum did not disappoint and will probably be a regular stop of mine as they continue to bring exhibits back to life following the damage done by Ike. 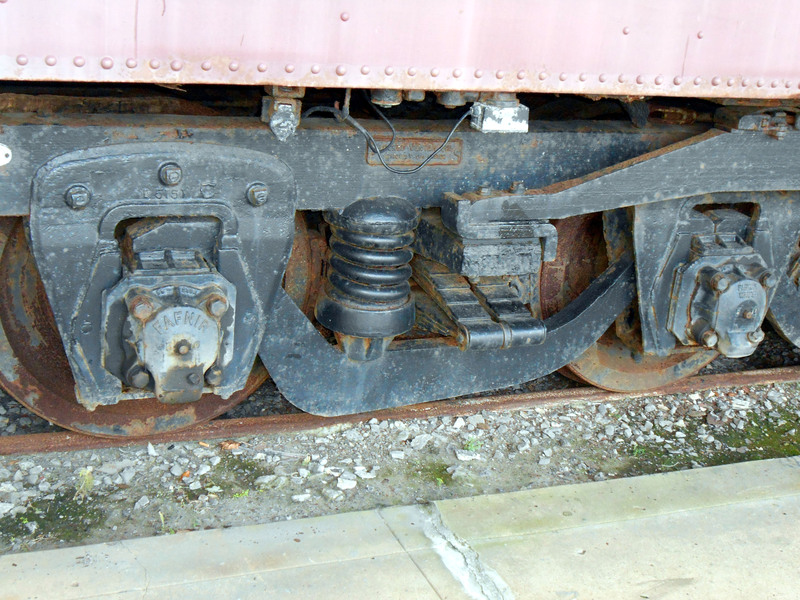 Several of the train cars at the Galveston Railroad Museum still have signs of being under nine feet of water during Hurricane Ike. With an admission price of $7 for adults plus an optional $4 for a short train ride along the cruise terminal area, one would be hard pressed to find a better bargain on the museum circuit. 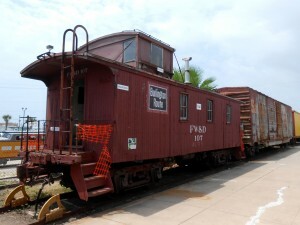 Housed in the former Galveston Train Depot the museum features trains from steam power to diesel power and all manners of locomotion in between. 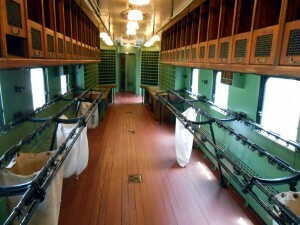 There are examples of dining cars, mail cars, sleeper cars, box cars, etc. There is even a room with a model train set as well as a room dedicated to china and silverware from dining cars through the ages. And while not all of the cars have been restored yet several were open for a closer hands on inspection. A ride along Harborside Drive on a transfer caboose can make anyone feel like the railway version of the “king of the world”. Walking through some of the cars gave me a complete out of Bond experience where I felt like I was inside one of Ian Fleming’s novels. There was also a certain Murder on the Orient Express feel as examples of the way train travel used to be propelled me back to that era in time. Or at least what I think the era was like since I was not alive during the golden age of railroads. But the train cars were definitely as I had pictured them to be although on a hot and humid Texas afternoon some pumped in air conditioning in the cars definitely would have been nice. The interior of a mail car at the Galveston Railroad Museum. And one cannot really speak about railroads without thinking of all of those people who toiled to build the Transcontinental Railroad and open up the country from coast to coast. While planes soon replaced trains as the way to get from coast to coast one can’t help but feel some nostalgia for a cross country train ride. Traveling from one end of the country to the other on a train is certainly on my to do list. Of course odds are it will be a one-way trip since I am sure I will have had my fill of the motion of the train swaying back and forth after a week on the rails. The lobby of the old Galveston Train Depot includes several “ghosts of riders past” in various examples of the hustle and bustle that train travel once had. 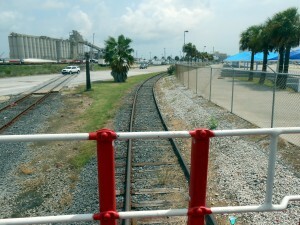 The last passenger train left Galveston in 1967 and while there are rumblings now and then about returning a Houston to Galveston rail line they seem to be far from reality at the moment. Most of the trains that run through now are hauling freight from the ports and the refineries and not people. And they are also the trains that like to stop along the way to load and unload their cargo while blocking many a railroad crossing in the process. Light rail and bullet trains are the current buzz words and there is plenty of Federal funding being thrown around to connect cities by rail as a means to free up congestion on the highways. It seems fitting to have a picture of a caboose at the end of a column about trains since they once marked the end of the train. Unfortunately while the concept of train travel in the northeast is part of the daily vocabulary other regions seem hesitant to give up the freedom that comes from driving their own cars and clogging up those aforementioned highways. So for now the dream of commuting by rail will remain just that until a time comes where trains become as popular as cars and other means of traveling from home to work and back again. But for those who want to see what a commuter train system might look like they need only travel to the Galveston Railroad Museum and take a look at the trains and “ghosts of passengers past” exhibits to see what was, and what could be again.